Alba has been around for a long time and is known for quality Spanish cuisine. We had dinner in the MOA branch for my parents’ wedding anniversary and we were not disappointed. All the items on the menu tasted great. Special mention goes to the cuchinillo and the paella. I would have liked to see callos on the buffet spread but the other entrees were good too. The buffet spread isn’t as varied as the other buffets available in other restaurants, but the focus on Spanish cuisine sets it apart. 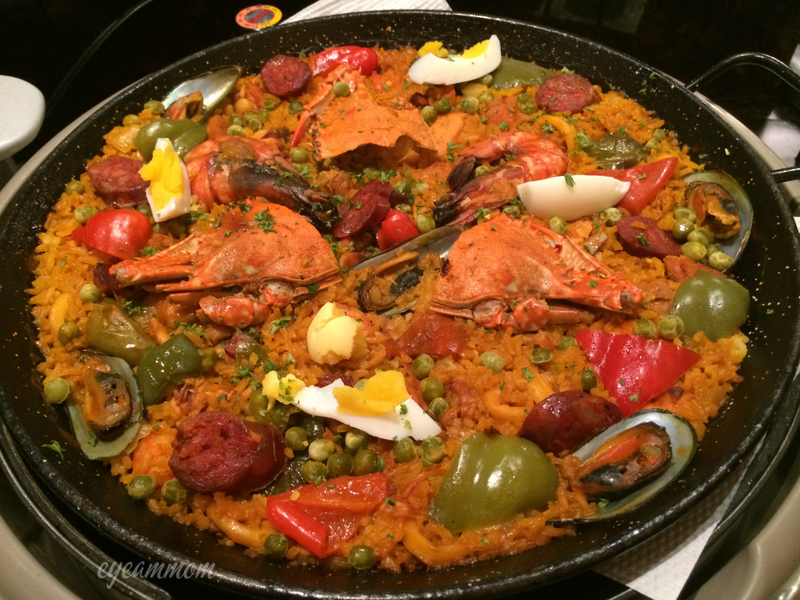 This entry was posted in Food, Life in the Metro and tagged Alba MOA, Alba Restaurante Espanol, Spanish buffet. Bookmark the permalink.